To start the New Year properly, the governor of Bali, I Wayan Koster, has signed in a commendable regulation enacting a ban on the use of single-use plastic in Bali. As of January 1st 2019, the Governor of Bali, I Wayan Koster, declared the new Gubernatorial Regulation No. 97/2018 that enacts a ban on the use of plastic materials in Bali. The regulation hopes to reduce the overall plastic pollution that has plagued Bali’s waters by 70% this year. It is a bold claim but one the Governor is committed to enforce and realize. To further enforce this regulation, the Governor has formed a team to ensure the smooth transition and application of the regulation. This enforcement covers a wide variety of programs that include educating the public, help with distributing reusable cloth bags (to replace the plastic bags) and increasing the overall awareness of how detrimental the use of plastics are to the environment. The regulation is meant to primarily target the producers, distributors and suppliers of businesses to phase out the use of plastic from their business practices. With a grace period of 6 months, businesses will have plenty of time to gradually eliminate plastic from their practices. After that 6 month period, there will be punishment and sanctions for those who do not comply. The overall initiative of the plastic ban however, is to increase the awareness of the detrimental effects plastic causes to our environment, and encourage individuals and families to do their part to help the environment. The wear and tear caused by human consumption has a very real impact on the environment of Bali, most notably its beaches and waters. Though plastic will never truly be eliminated from human consumption, its reduction from the environment is a step in the right direction. As the front-runners of the hospitality industry in Bali, Sun Island Bali has also shifted its attention to encouraging the reduction of waste material in our practices and increasing recycling numbers. Our guests are more than welcome to contact one of our staff to participate in the program. 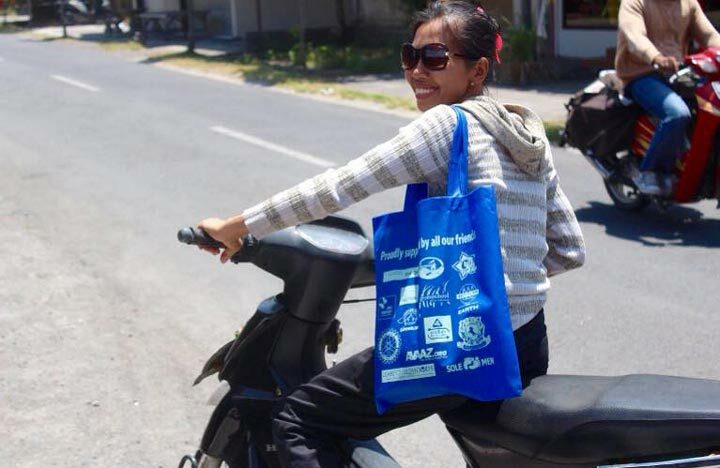 The plastic ban is an initiative that hopefully gains more traction as the public becomes more aware of the environmental impact plastic has on Bali’s waters. Preserving the environment is the responsibility of every individual. Therefore, Sun Island Bali is committed to lead by example with the Sun Island Goes Green program, hoping to motivate our guests to do the same.